With Cage Dive now on DVD, a leading shark expert discusses the portrayal of sharks on screen. 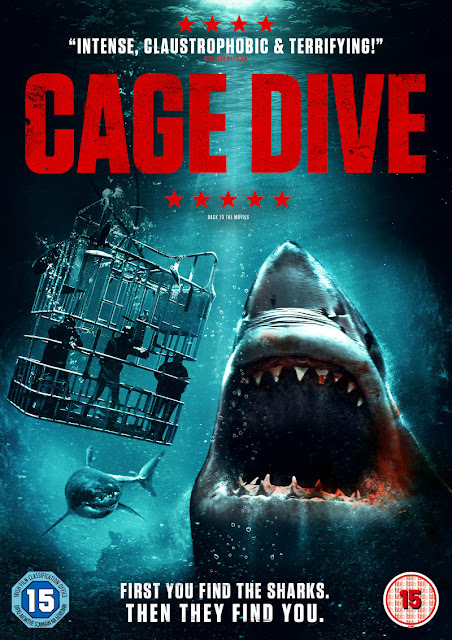 So goes the plot of intense new thriller Cage Dive (available on DVD and Digital in the UK now) which thrusts its protagonists into a nightmare scenario. But while the film’s shark-action is terrifying, how accurate is its portrayal of sharks? Have many of our fears been cultivated through years of exposure to a Hollywood view of the big fish? How accurate is the shark behaviour in Cage Dive? I think the portrayal in Cage Dive is quite reasonable regarding the actual cage dive element of the film. 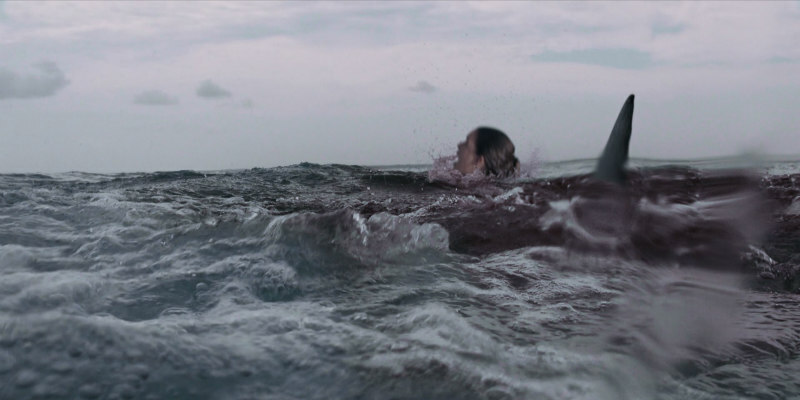 There was that other film last summer, The Shallows, where I think the shark charged the bottom of the ocean bed and impaled itself at the end, which was half-witted, but there was nothing in this film that had ridiculous shark behaviour. What do you like to see in the movies in relation to sharks? I’ve been on hundreds of cage dives and seen sharks bashing into cages, sharks mouthing cages; all this sort of stuff is normal behaviour. It’s not threatening behaviour in the sense that it’s intended or aggressive; it’s just what sharks do. When sharks mouth cages they are basically exploring. Their electroreceptors have picked up electrical activity in the water given off by the metal and they’re coming to check it out. So, many films portray what is normal behaviour on cage dives as sinister, threatening and/or intentionally aggressive. I wish that filmmakers would balance it a bit better. I know that filmmakers want to do something that's frightening, scary or sensational, and if you said, “Actually this shark mouthing the cage is quite normal, it’s nothing to worry about,” then it’s quite boring. But it's a shame that the poor old shark's normal behaviour is depicted as something that it isn’t. In documentary it’s different. In feature films if you don’t portray them according to the stereotype, you’re not going to get the audience. And I’m just saying that the stereotype is often very misleading. Another thing I would say is this exact situation (in Cage Dive) did happen. It was a company called White Shark Projects, who in 2008 had their boat, with the chum in the water, tipped over by a freak wave. Exactly what was depicted in Cage Dive. Two or three people died; not anything to do with sharks, but drowning. The other 20 or 30 people were rescued. What was never alluded to was this was highly chummed (bloody) water, full of bodies, people thrashing about, and not one nibble from Great White sharks that were everywhere. Why should they be? There it is, you’ve bought the stereotype that just because there are people and chum in the water they are going to get bitten. Why should they? There’s the living proof that that doesn't actually happen. I wrote a magazine article at the time and people were shocked and interested to hear that you can have a scenario where there’s these dreadful ghastly killing machines swimming around with blood in the water and they didn't actually kill anyone. I observe that there was a real life situation in South Africa, where a boat was flipped over and people were in the water, and even with all the people, and blood and chum in the water, with Great White sharks everywhere, not one bite. That would be my message, whether it’s Great Whites or any other animal that’s considered to be dangerous to humans. I’m not saying they’re not dangerous to humans - of course they are - but the stereotype makes this automatic assumption that "shark" equals "bite." It doesn't. I stroke the bloody things. I’ve been outside cages and I’ve still got two arms! Can you talk about some other shark films you’ve seen? The Shallows kept a very good suspense going for the first half hour with a credible plot, but then at the end the stereotype kicked in and the shark behaviour was Disney gone mad. With 47 Meters Down the shark behaviour is off. But we’re talking about a wild animal so I can’t necessarily say, “That's good behavior or that's bad behaviour” because frankly they always surprise you. But I think it utilised the unfortunate stereotype that sharks have. It wasn’t a bad plot, much like Cage Dive, but the trouble is if you don’t utilise the stereotype you don’t have a film. Jaws was totally groundbreaking. There was an irony in the whole story, which was that it was largely based on real events and those events didn’t involve a great white shark, they probably involved a bull shark. And the reason I say that is that the real events occurred just after the First World War and people were attacked quite a long way up a creak that was mostly freshwater. Now great white sharks can’t operate in fresh water. Nevertheless, it's a great film, great entertainment, but it unfortunately made use of the stereotype, which I think is an erroneous, inaccurate stereotype, and Peter Benchley (Jaws author) realised this because shortly after the film came out, he saw the unfortunate effect the film had in regards of the stereotype and spent most of the rest of his life campaigning as a conservationist for the protection of great white sharks. The other thing about Jaws of course is that in the first few minutes they had hit the very basic primeval fear button, which is why sharks have the rap they do compared with snakes, lions, tigers or any other animal. Sharks have this incredible shiver-up-your-back ability, and the reason for it is simple; they hit three basic human fear buttons. The first is the fear of being eaten alive. Now that also applies to some land animals but it certainly applies to sharks. Secondly you’re out of your natural element. Man’s natural element is to have two feet on the ground. The third is the fear of the unknown. In a water column maybe 200 feet deep, unless you’re a diver or something you simply don't know what's underneath you. And the idea that a shark can come rocketing out of the deep and grab you is terrifying. Historically sharks have been portrayed that way, and Jaws hit all three of those fear buttons within the first five minutes. From then on nobody left the theatre - they might have shut their eyes - but they were hooked. Do you have a message regarding shark conservation? The general message is very simple; due to the overfishing of sharks around the world, sharks have far more to fear from humans than humans have from sharks. Tens of millions of sharks are being taken every year and the number of human deaths traditionally is 10! Most years there are about a hundred shark attacks. But "attack" is misleading, as the way it’s categorised is if a shark comes and bumps you then, technically according to the National Shark Attack File, it's an attack. They list approximately a hundred attacks a year and between five and 10 deaths. So even in a really bad year the contrast between the amount of humans killed by sharks and sharks killed by humans is massive. Well there are a number of things people can do to aid shark conservation. One is to not eat shark fin soup. If you see shark on the menu or anywhere else in the world, object. Go to the restaurant owner, and say “Do you know you’re selling a body part from a highly endangered group of species?” Don’t buy shark products. Buying shark teeth, bits of shark, at souvenir shops is merely propagating reasons to kill them. Do get involved with shark eco tourism. You can cage dive with sharks, you can swim with sharks, you can observe them from the deck of boats. And all of that is helping to correct the stereotype. I’ve taken hundreds of people out to look at sharks and they’ll come back with a changed perception. They'll get in the water with a bunch of blue sharks, which had a reputation for attacking man, and it blows them away and I don't even put them in cages! The other thing you can do these days is get on the internet, there are loads of campaigns going all the time, petitions they can sign, or join organisations like the Shark Trust, which is always campaigning for the sustainable fishing of sharks. In a way one of the most important things they can do is to understand that the stereotype is not accurate. A lot of the shark behavior shown in films HAS happened, the trouble is the way its portrayed in movies it's assumed to be automatic, inevitable behaviour, and it's not.